And, Mitt? Tell'em Groucho sent ya! Welcome, I'm Bob Schieffer of CBS News and this is Face the Nation! Today's guest is Governor Mitt Romney, Republican candidate in the 2012 Race for the Presidency of the United States. Romney: Thank you, Bob. "Race for the Presidency," eh? Think you just coined a really neat new term! Schieffer: Uh ... sure. Thank you ... I think! 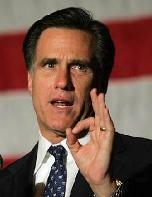 Romney: You're like a working class poet or something, Bob! Schieffer: Um, thanks again! Now, Governor Romney, I'd like to ask your thoughts about the President's decision to stop deporting certain illegal aliens who came to the United States as children. Schieffer: Governor Romney, why, you're a Groucho Marx fan, I didn't know! But tell me, please: what are your views about the President's new Immigration Policy? Schieffer: Ha-Ha. I think! Then let's look at ObamaCare, which you oppose. But isn't it modeled on the same health care program you yourself brought to Massachusetts? Schieffer: Let me phrase that another way then, Governor Romney. What are your views on ObamaCare itself? Schieffer: Governor, you seem to be against all the President's policies without offering any of your own. Why is that? I used to yell from night till morn. Schieffer: So you decided on this campaign approach long ago? How would you describe your approach? Schieffer: Thank you, Governor, it's been enlightening. You know, I had no idea you were such a huge Groucho Marx fan. 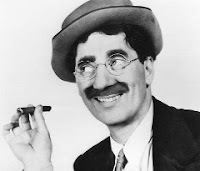 Romney: Actually, Bob, I'm more of a Harpo Marx fan myself. Schieffer: Harpo Marx? You mean the brother who spent his entire career saying absolutely nothing?